Our service guarantee includes a worry-free warranty. Our products are backed by the best warranty in the business and come with our commitment to exceptional customer service. At Aarcomm we stand behind our products 100%. 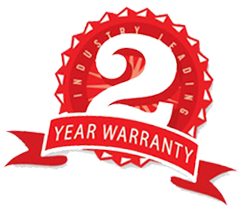 That’s why we offer every client a two-year warranty, no questions asked, on products that do not meet your expectations. Not only that, we understand that when equipment goes down, your operation can suffer. To minimize the inconvenience, we are committed to shipping out replacements units to you within one-day from receipt of your report. We pride ourselves in not just designing the most advanced industrial remote control technology on the market. We also take pride in offering second-to-none customer service and products that are backed by the industry’s best warranty service. Aarcomm is your trusted partner in industrial wireless remote controls and communications.